Here we are my grandson, age four, and me. scoops and rakes as we ready the soft earth. We’re planting rainbows of petunias. love the dirt as they scoop holes for starts. works close to me, my garden prodigy. with patient hands, and endless time for me. 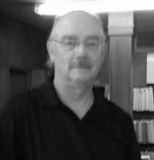 Michael Escoubas studied poetry and poetics for thirty years before he began writing for publication following his retirement from a career in the printing industry. He believes that poetry should elevate ordinary events of life, making them extraordinary. Michael's first chapbook, Light Comes Softly, is currently in production and will be available later this fall. The gift of time cannot be bought. Wonderful sentiment, Michael. Lovely, Michael. You capture it simply and beautifully. To have "endless time" for a child, a treasure for child and grandfather. Lovely poem, thanks Michael. This poem hits close to home. I'm an old guy and I still think about what it would have been like to have known my grandfathers. Very visual poem; I like the picture it paints in my head. Trading a Babe Ruth rookie card is a wonderful way to show deep love in our material world. A loving poem, Mike, and memory making your grandson and you will remember. I was lucky to have a grandpa like that; he was amazing. Thanks for letting me remember him again. grandfathers are a treasure, for sure...good poem, thanks! Such a fine poem, Michael, and an original use of the sonnet form as well. Rightly viewed there are no 'ordinary' events - as this splendid poem demonstrates categorically.